President Barack Obama campaigning in Boudler, Colorado on November 1. Electoral college map for the 2012, 2016 and 2020 United States presidential elections, using apportionment data released by the US Census Bureau. We’re down to the wire. I’m not going to pretend to call this thing in its totality, especially because there are appear to be all sorts of last minute variables with GOP shenanigans in Ohio and Florida. But here are my swing state calls, and you can do the math -- let me know what you think! Ohio: Pretty darn close, and the one state I’m least confident about. The GOP secretary of state just pulled a Hail Mary stunt and got half of what he was going for, effectively getting to suppress votes in certain areas. The President might get help here from an unlikely source; Gary Johnson, the Libertarian candidate, is polling near 5 percent, probably stealing more Republican than Democratic votes. I’ll say Barack Obama wins here, but I wouldn’t stake a Klondike bar on it. The caveat is this: Superstition aside, Obama doesn’t actually need Ohio if he holds on to Virginia. He can even lose Florida and Ohio and still win. But that would be the ugliest of all scenarios. Electoral votes: 18. Florida: The second state I’m least confident about. Mitt Romney has been ahead here since the Denver debate, but Obama tightened it over the weekend. Gov. Rick Scott is spreading mayhem in a way that suggests concern. If the Puerto Ricans along the central corridor of the state show up, Obama could squeak through. But they don’t have a great history of making it to the polls. I say Romney. Electoral votes: 29. Virginia: Obama won here by only 14,000 votes, but the Dems have registered more than 100,000 new Latino votes this time. The polls say they’re tied, but I’m going to bet that Latinos aren’t properly represented and they’re Obama’s edge. Electoral votes: 13. Colorado: Tied, but I think the evangelicals for Romney will win the day over the newly registered Latinos for Obama. 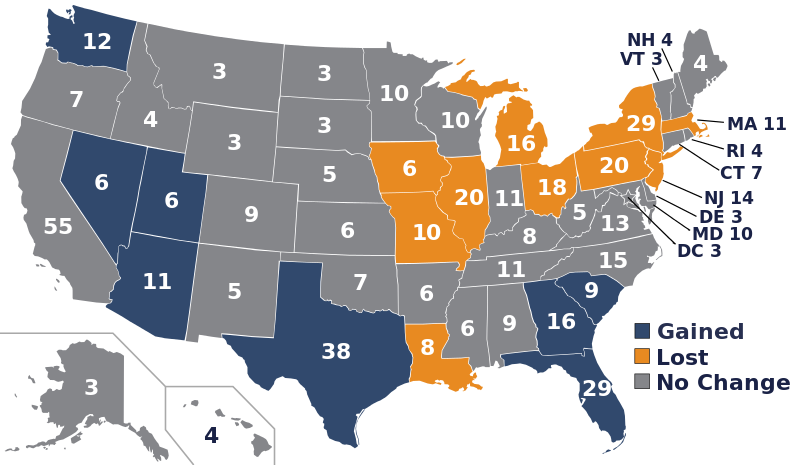 Electoral votes: 9. Iowa: Obama. Electoral votes: 6. Nevada: Obama. Harry Reid will win the day here. Electoral votes: 6. New Hampshire: Obama. Electoral votes: 4. North Carolina: Romney. Electoral votes: 15. Wisconsin: Obama. Electoral votes: 10. Two states not considered swing that could be in play are Pennsylvania and Arizona. Obama leads in Pennsylvania but the gap has been narrowing and Romney’s been hitting it this weekend. Romney leads in Arizona but that gap has become razor thin, and there’s a Latino, Richard Carmona, running for senate who could drive a higher Latino vote than the polls are suggesting. Pennsylvania has 20 electoral votes -- if Romney gets them, the election could be over. Arizona has 11. For Obama, every little bit helps.